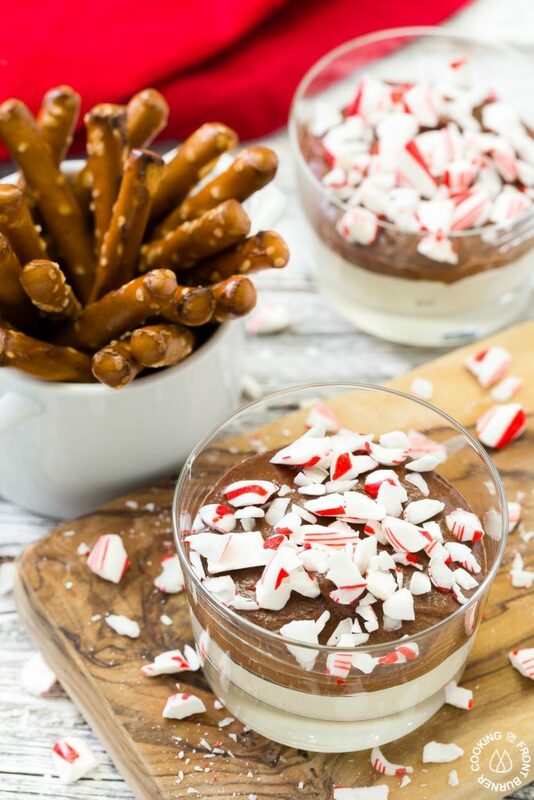 This holiday Chocolate Peppermint Dip is a great snack recipe to have on hand that everyone will love. 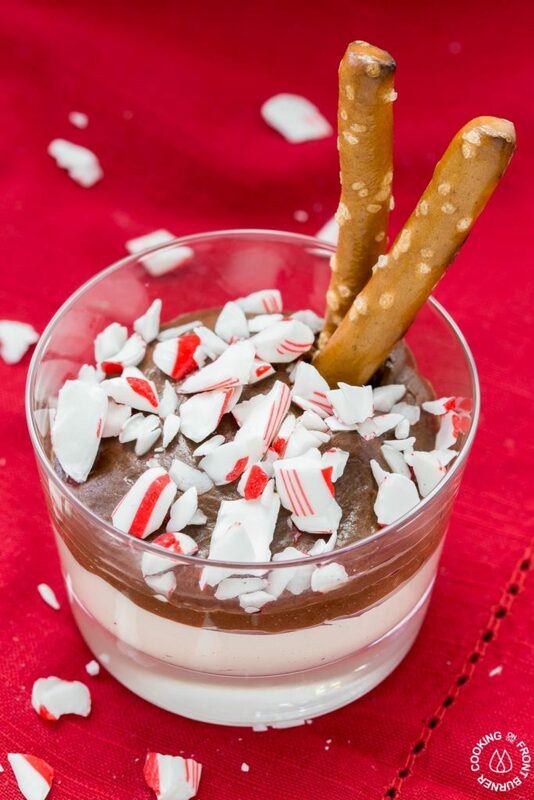 It has two kinds of chocolate, mint and salty pretzels for dippers that make a great combo to satisfy that sweet tooth! 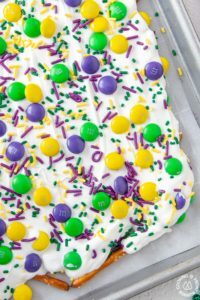 This dip is best served when it is made so it stays nice and creamy but if you must refrigerate it, then no worries because you will have an entirely different dessert that also tastes fantastic. 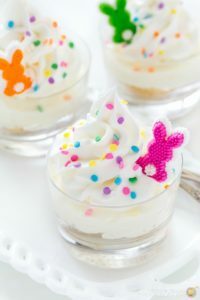 The texture becomes more like a cheesecake and can be eaten with a spoon. I have to say in our house, we enjoyed it both ways. This dip also only has five ingredients and comes together quick. 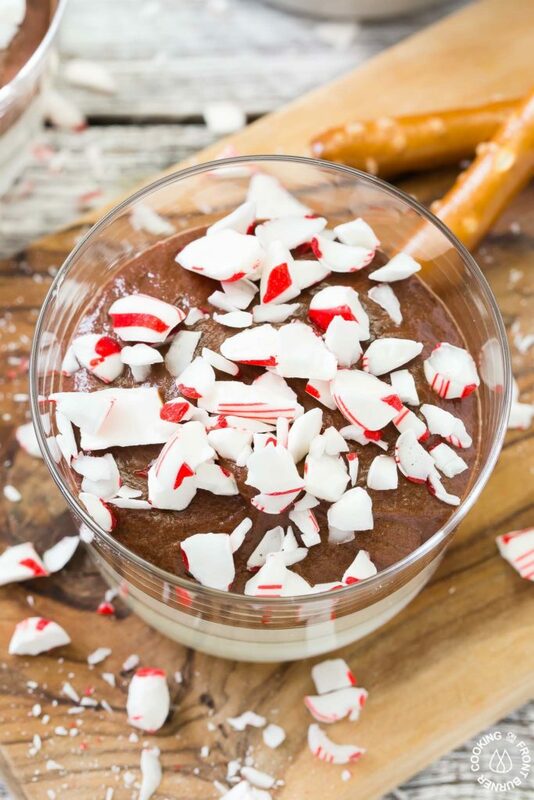 While we loved the crushed candies on top, I think next time I would add some finely crushed candies to both the white chocolate and dark chocolate but I’m a peppermint person! Last year I made this White Chocolate Peppermint Popcorn snack that tastes great and would make a fun hostess gift (if you can resist not eating it all yourself!) and last week I made a Christmas Bark recipe. 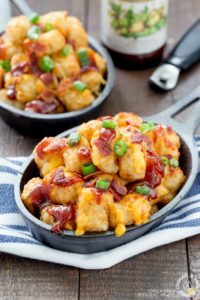 If you have any favorite snack recipes, be sure to let me know. I’m always looking for new ones to try. 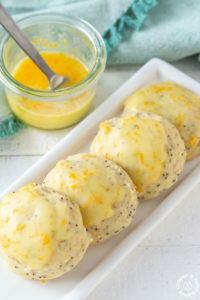 I was inspired to make this recipe from Cravings of a Lunatic. 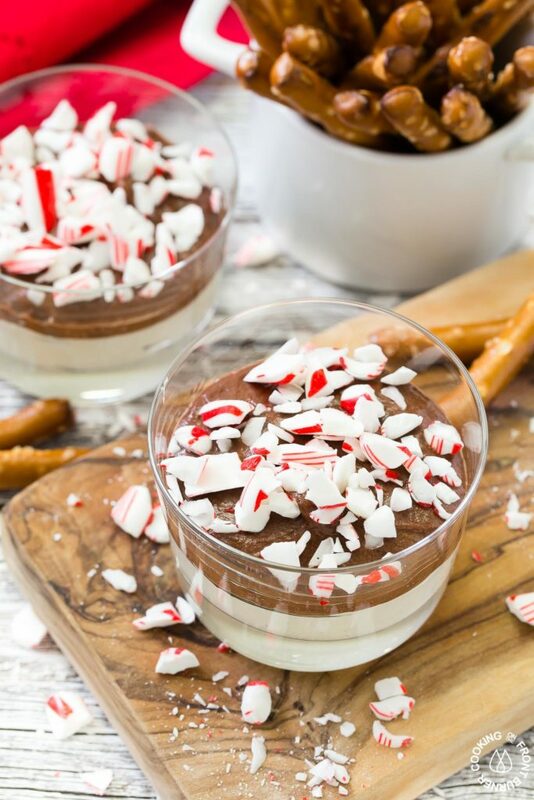 Feel free to double dip in these individual containers of Chocolate Peppermint Dip! Divide the mixture evenly in two bowls then to one add the white chocolate and the other the dark chocolate. 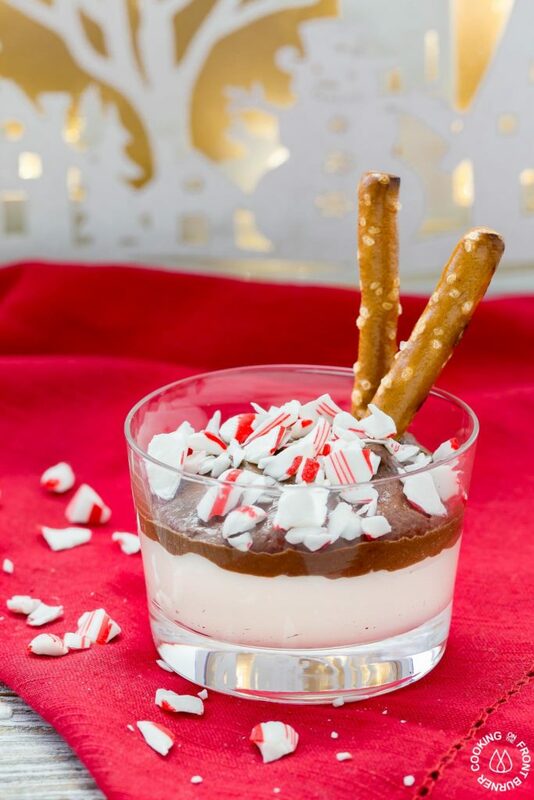 This would be a great dessert idea. 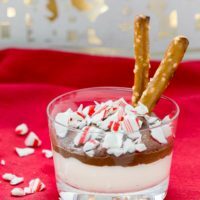 A fun twist for an adult party… reminds me of those Kangaroo Chocolate Dips from the grocery story but way better!